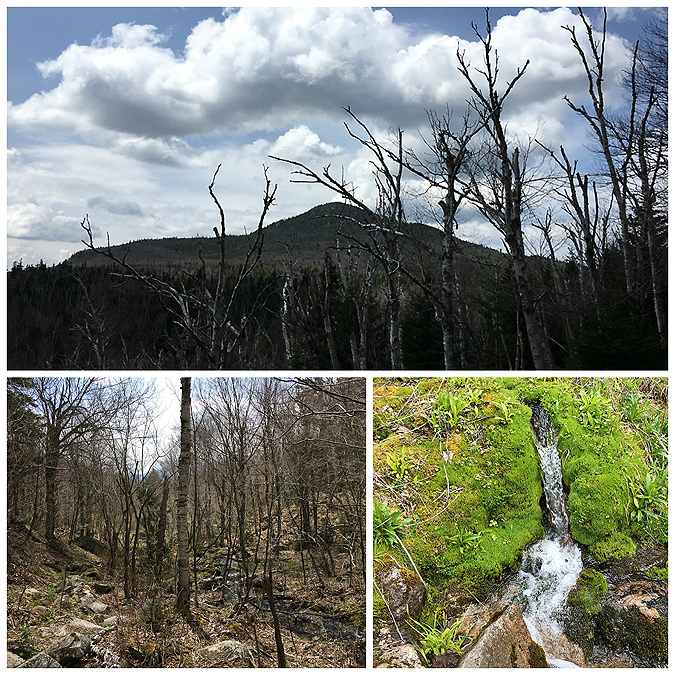 - Originally Sunday's forecast looked quite gloomy and I was going to take a day off from running/hiking, but as usual mountain weather tends to be unpredictable and Sunday turned out much nicer than anticipated. - Over the past week I've driven over a thousand miles, two trips to RI and driving the van for our Ragnar Cape Cod Relay Race, so the last thing I wanted to do was drive anywhere out of the way. 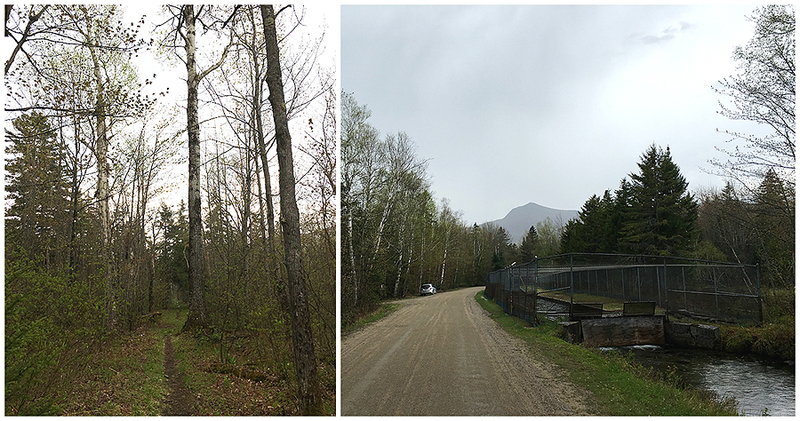 I ended up heading to the Berlin Fish Hatchery for a quiet Sunday loop hike of Mount Cabot, the Bulge, and the Horn. 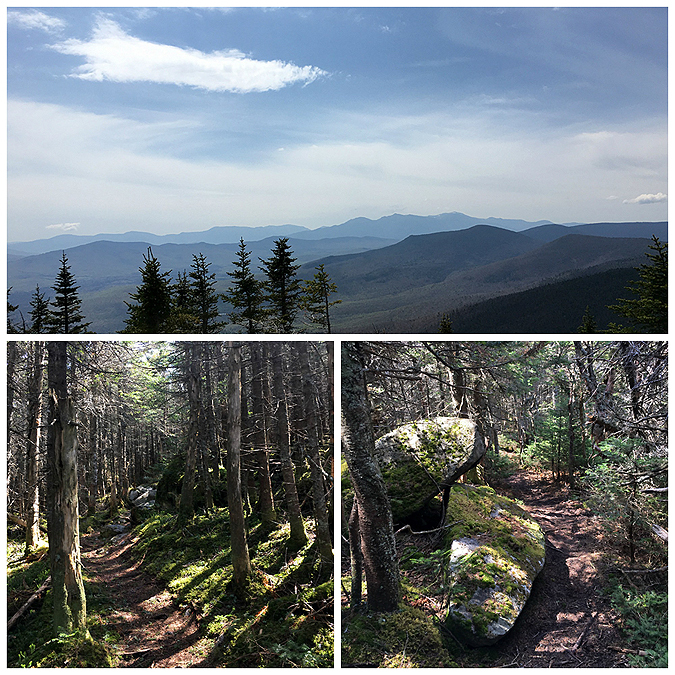 - The first mile from the trailhead is very easy going over an old logging road before taking a left into the woods and heading up towards Bunnell Notch. 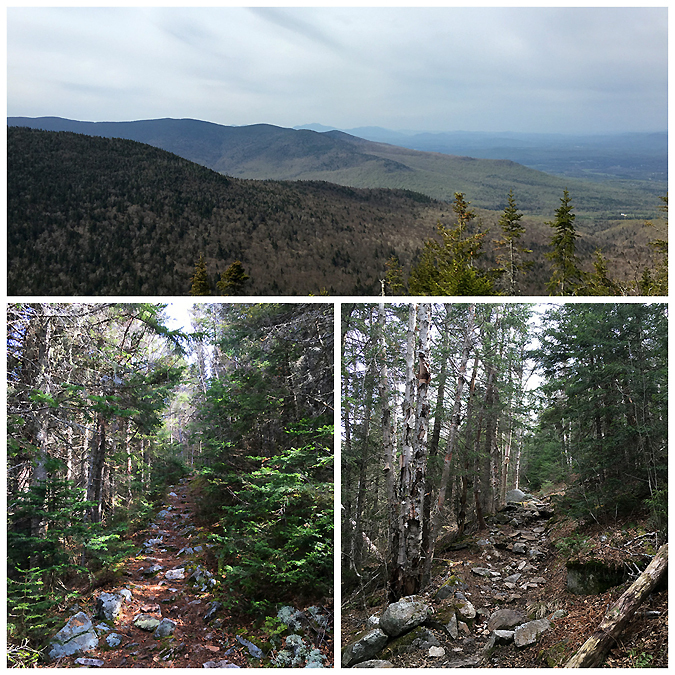 Last time I came through here there was snow on the ground so this time I took my time looking off trail for random stuff to come back to explore next time through. 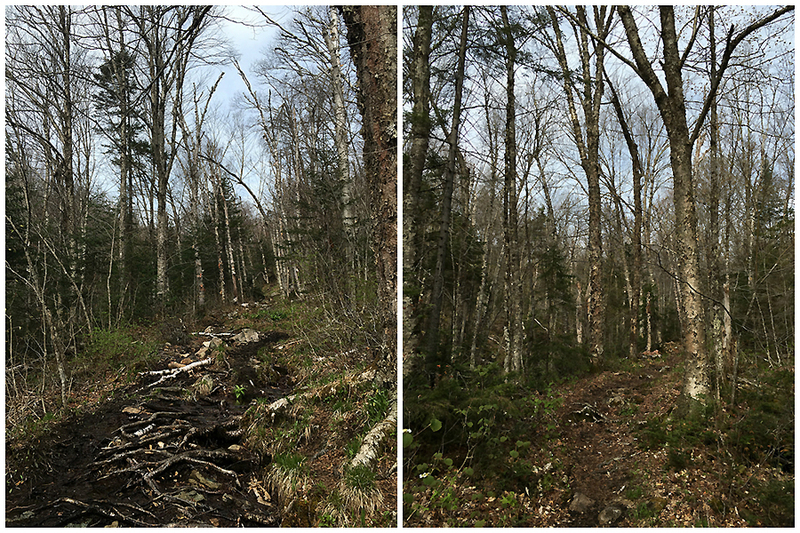 I spotted two things, one is an old clearing off the old logging road where I saw some rusted material off in the woods, it must have been an old camp. 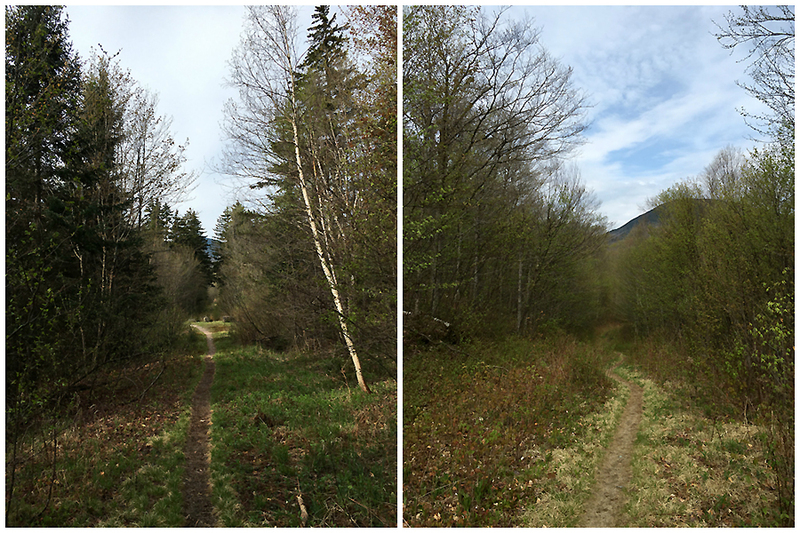 The second thing I spotted was an old yellow blaze about fifty feet off trail and down an embankment. 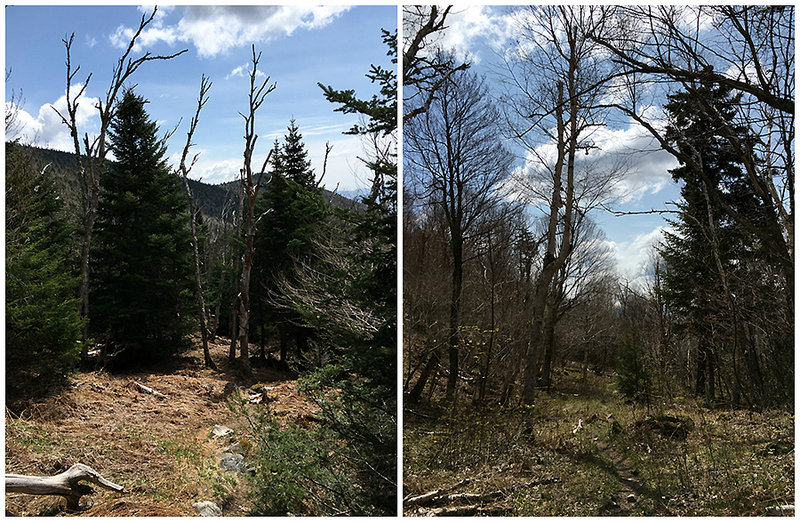 The Bunnell Notch Trail was relocated at the very bottom where it turned off the logging road, the present day trail heads a little higher, while the older trail stayed lower and closer to the brook. 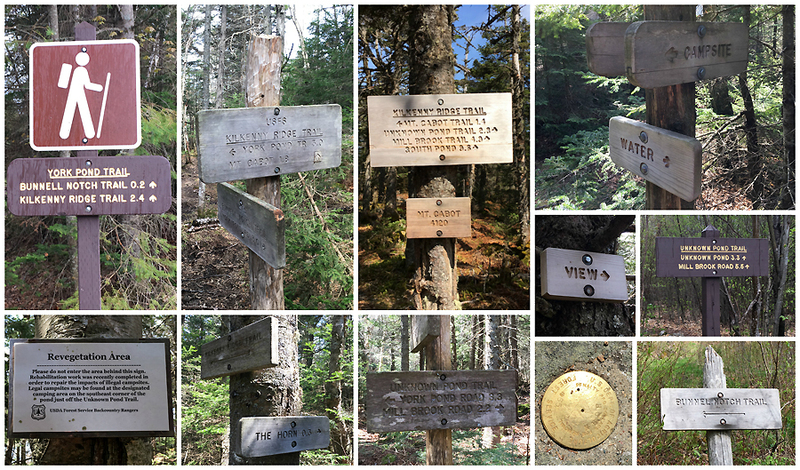 - Other than that the ascent was pretty straight forward, for those hikers unfamiliar with hiking Mount Cabot, the first mile is relatively flat, the second and third miles have moderate grades as it ascends towards Bunnell Notch where you intercept the Kilkenny Ridge Trail, the last mile and a half has a steep burst right after the junction with the no longer maintained Mount Cabot Trail until passing by a fine viewpoint at Bunnell Rock, then grades become moderate to easy again as you pass by the Cabot Cabin, the site of the old fire tower, and over to the true summit. - From the summit of Mount Cabot I headed north down and up a couple more times over the Bulge and out and back to the Horn. The Horn has magnificent views, although today the skies were hazy and a minor shower was rolling in from the distance so the views were a little muted. 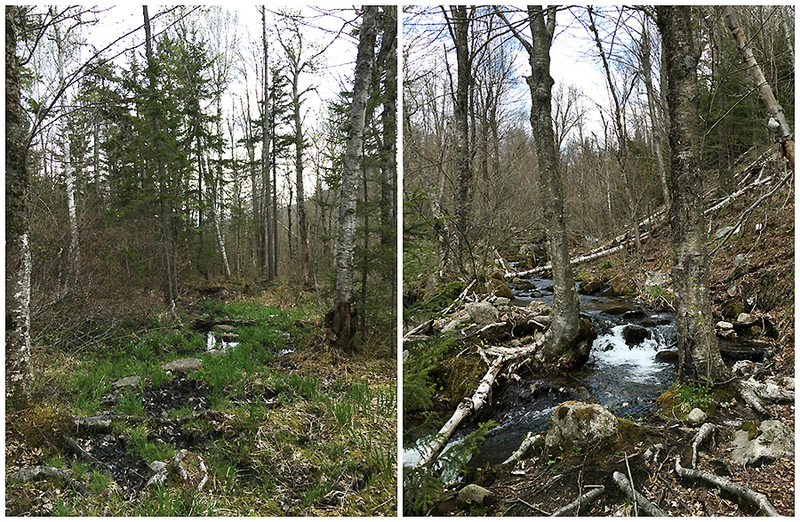 - After the Horn I descended to Unknown Pond and took the lovely Unknown Pond Trail back to the car. 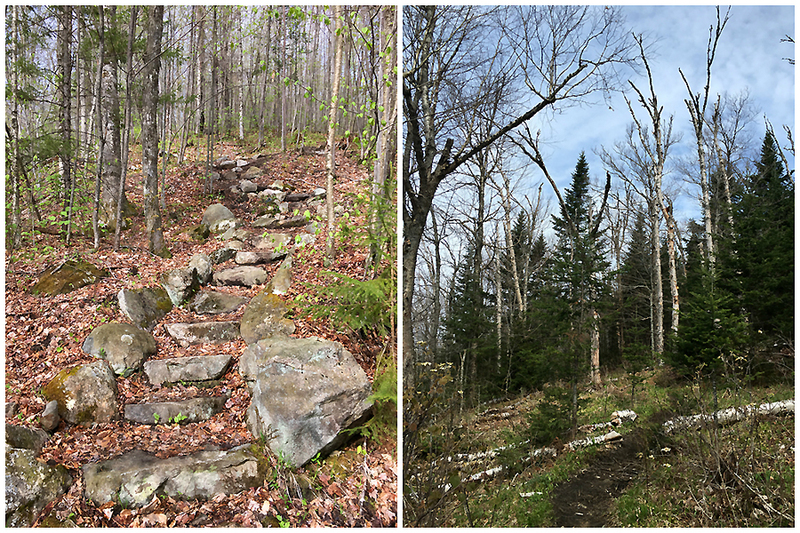 It was the first time I had been on the Unknown Pond Trail, I highly recommend it as it's a beautiful hike through some fine open hardwoods as it funnels into a valley staying close by to the brook that drains from the Unknown Pond. - The skies opened up on me over the last mile but I didn't mind as it was warm out and it just added to the enjoyment.